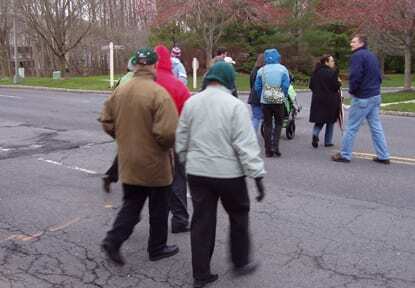 The Canal Pointe Condominium Association and the West Windsor Bicycle and Pedestrian Alliance boards participated in a West Windsor Walk during the evening rush hour on October 21. 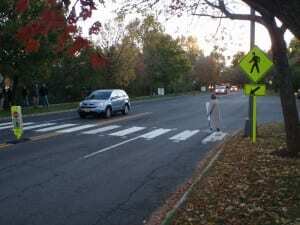 The half hour event, held at the crosswalk to Market Fair near Mayfair Drive, was meant to raise awareness of the new state law to stop for pedestrians in crosswalks. Participants, holding signs reminding drivers of the new law, observed conditions and traffic as pedestrians crossed, including commuters, joggers and shoppers, some with babies. 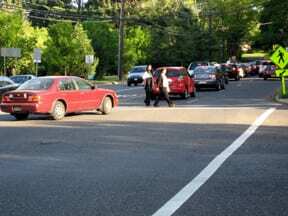 Since Canal Pointe Blvd is a 4 lane road, drivers in some cases didn’t know why cars in the adjacent lane stopped, since the pedestrian was blocked from view by the stopped cars. As a result, some did not stop, while others slammed on their brakes when they got close enough to see the pedestrian, very close to the edge of the crosswalk. Also, people were not familiar with when it was OK to go again. According to the new law, a driver must stop whenever a pedestrian is anywhere in the roadway on the same side as as the vehicle is travelling, until the pedestrian has walked past one clear lane on the opposite side of the roadway. For Canal Pointe Blvd, that means stopping until the pedestrian is in the outside lane on the opposite side of the road. 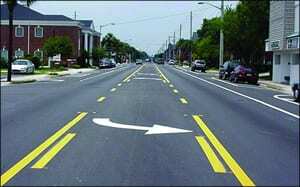 In the picture at the top, it is OK for the vehicle to go, since the pedestrian is more than an opposite side lane away. In the picture left, the car on the inside lane went too early, since pedestrians have only just reached the side of the road they are traveling in. See the excellent diagrams provided by New Jersey Department of Transportation for more examples, and tell your friends and family to get up to speed on the new law! 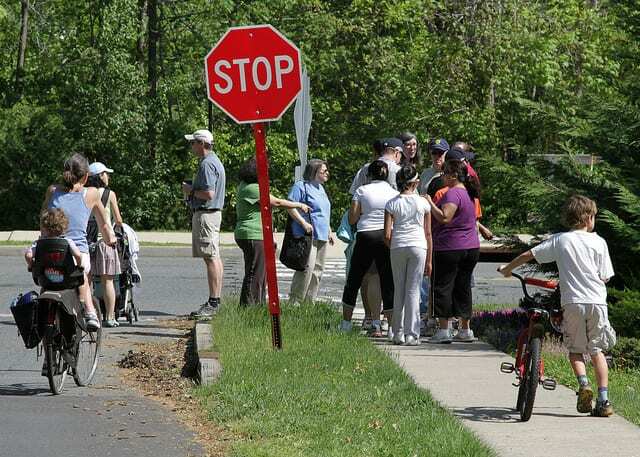 Join the West Windsor Bicycle and Pedestrian Alliance in a series of half-hour “West Windsor Walks” to educate drivers and pedestrians about the new law that requires motorists to stop and stay stopped when a pedestrian is in a crosswalk. 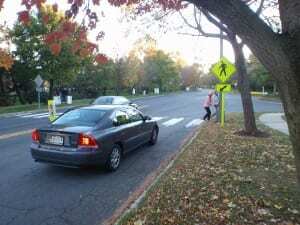 Show that West Windsor cares about pedestrian safety! Wednesday, October 6, 7:15 a.m. to 7:45 a.m., to help celebrate National Walk to School Day, by the crosswalk at Clarksville Road and Route 571, by WW-P High School South. Participants will wear yellow vests to attract attention and point drivers to signs reminding them of the new law. Please email your RSVP (or ask questions) to wwbikeped@gmail.com. 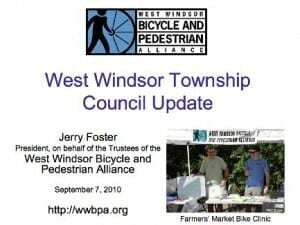 The West Windsor Bicycle and Pedestrian Alliance is giving a televised presentation to the West Windsor Council and Mayor Shing-Fu Hseuh about why a bicycle and pedestrian-friendly community makes sense. 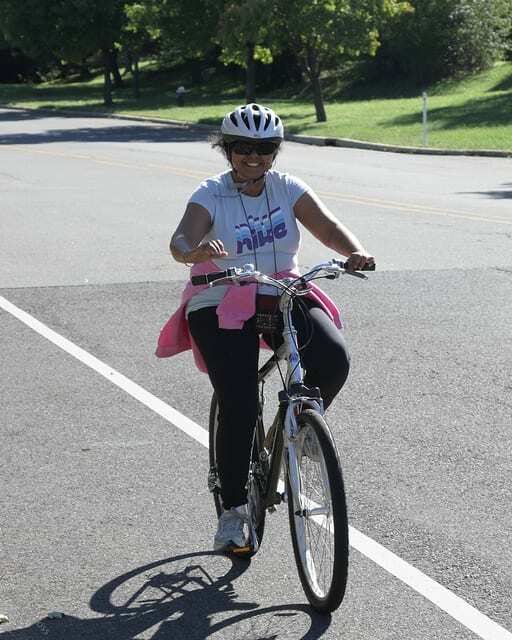 Among our points: Tough times demand smart choices for our roadways, and biking and walking saves everyone money. Plus, a more liveable community is good for property values. We’ll also debunk some common myths, such as only motorists pay for roads and that adding traffic lanes solves congestion. Come to the Council meeting at 7 p.m. Tuesday Sept. 7 and join us for the WWBPA monthly meeting immediately after the presentation. (The meeting date has been changed from Thursday Sept. 9 because of Rosh Hashanah.) Or catch it on public access television. The WWBPA thanks the West Windsor Council for the opportunity to make this presentation. 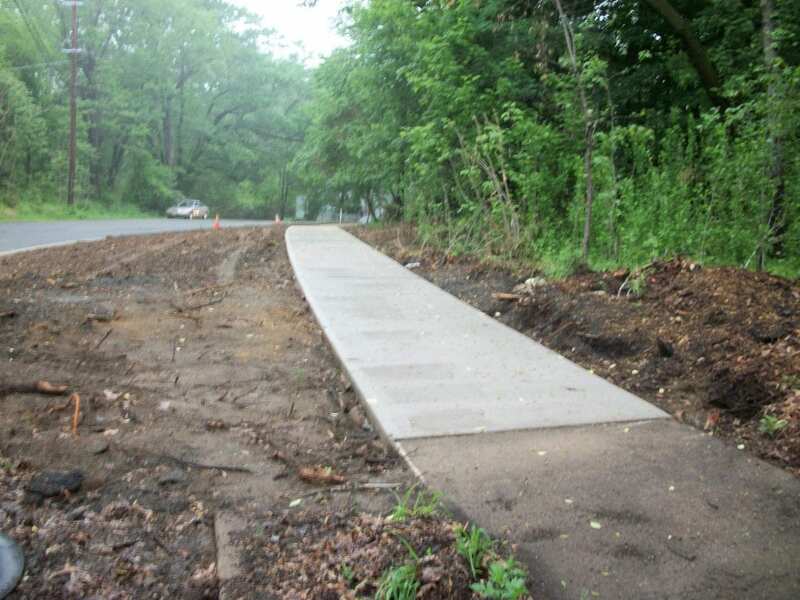 Also on the Council agenda: a grant application for a path between seven office buildings along Alexander Road/Route 1 and the Princeton Junction train station; an engineering contract for sidewalks along North Post Road and Alexander Road; and an engineering contract for the reconstruction of the Alexander Road S-curve between Canal Pointe Boulevard and the D&R Canal. We’ve been advocating putting some of West Windsor’s roads on diets, principally Canal Pointe Boulevard and Alexander Road (see our post from May 2010). 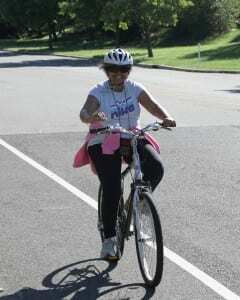 A “road diet” means reducing travel lanes, for example, from four to two with a center turning lane, thus allowing room­ for bike lanes and sidewalks. 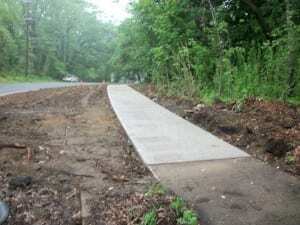 This leads to fewer changes in lane by cars and fewer accidents. A June 2010 study commissioned by the U.S. Department of Transportation shows that road diets still allow for the same number of cars on the roads, with from 19% to 47% fewer crashes (percentages vary depending on whether the road diet is in an urban or suburban area). Source for both photos: Pedestrian Bike Information Center, “Road Diets” training module, 2009. Click here for a summary report in HTML or PDF. 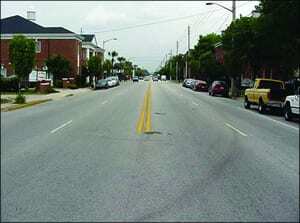 Alexander Road could benefit from a "road diet." Peak hour capacity has been maintained. Read previous news items about Canal Pointe Boulevard. A Traffic Light for Canal Pointe? A resident of Canal Pointe has written to the mayor requesting that traffic lights be added to Canal Pointe Boulevard to counter the heavy traffic and speed of motorists so pedestrians can get to MarketFair and to and from the bus stop. In her letter, Sherri Bobish also noted that it can even be difficult for motorists to exit the development at times because of the traffic. 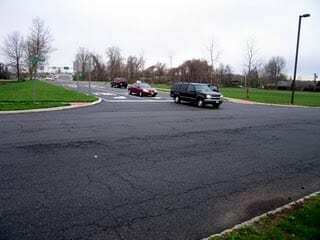 The WWBPA, which received a copy of her letter, couldn’t agree more and followed up with a letter of its own, calling on the mayor to publicize a study of Canal Pointe Boulevard last year to look at ways to calm traffic that was commissioned by the township government and to implement the recommendations. Unfortunately, the problems are not new. The WWBPA in its letter cited a study done six years ago that recommended a “road diet” for Canal Pointe, which could calm traffic without sacrificing road capacity. 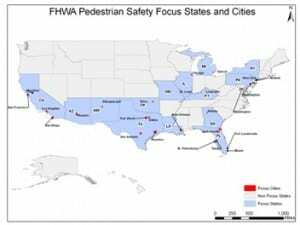 This solution was endorsed by the WWBPA during a walk with area residents in 2007 to highlight safety problems for bicyclists and pedestrians in the neighborhood. Read the original blog post.